Rocket City Broadcasting targets the Huntsville Metro with 3 great radio station’s reaching over 100,000 listeners weekly. 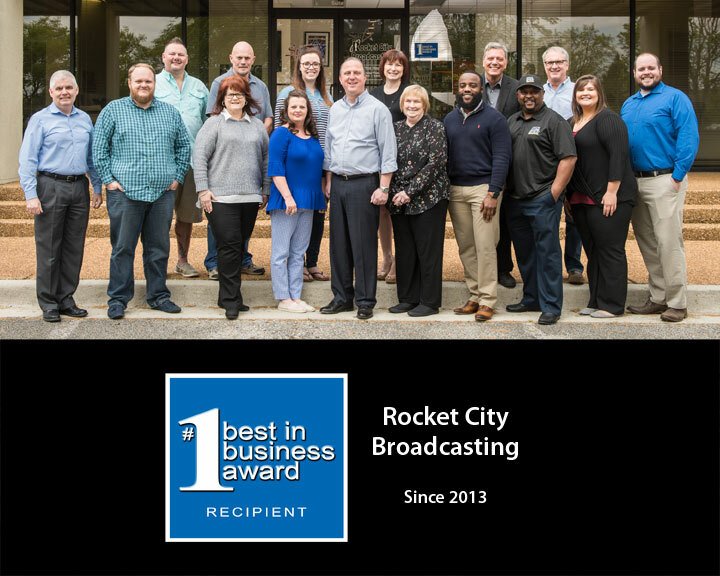 Rocket City is the only group in North Alabama that is partnered with Baron Weather Services to provide our listeners with the best weather resource possible. Traffic and weather throughout the day to keep you informed. WAHR Star 99.1 has been a fixture in Huntsville radio for almost 60 years. Programming an adult contemporary format, Star 99 is a consistent rating leader with Women. WAHR Star 99.1 features family friendly programming and exciting promotions. The Steve and Dee Dee morning show starts everyone’s day off with a fun and entertaining show. WRTT Rocket 95.1 is a top rated radio station reaching the male listeners of the Tennessee Valley. Rocket 95.1 combines the biggest bands in Rock music today and the live and local morning team of Jimbo and Casio. WLOR is now 98.1 The Beat. They have recently changed their format and are now the Tennessee Valley’s only hip-hop classic and R&B station!